Evaluating cross-platform systems is challenging due to the different constraints and capabilities of each platform. In this paper we extend the Semiotic Inspection Method (SIM), a Semiotic Engineering evaluation method, to evaluate cross-platform systems. We introduce the term cross-communicability to denote the quality of the meta-communication of the system as whole, taking into account the user traversal between the different platforms. 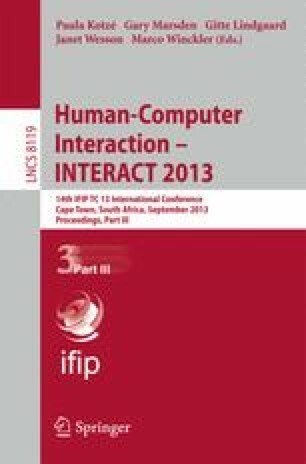 To assess cross-communicability, we describe a novel approach to conduct the SIM, which introduces a contrastive analysis of the designer-to-user meta-communication messages of each platform, based on a semiotic framing of design changes initially proposed for End-User Development. The results from an analytical study indicate that this approach is capable of identifying and classifying several potential communication breakdowns particular to cross-platform systems, which in turn can inform the design or redesign of a cross-platform application.